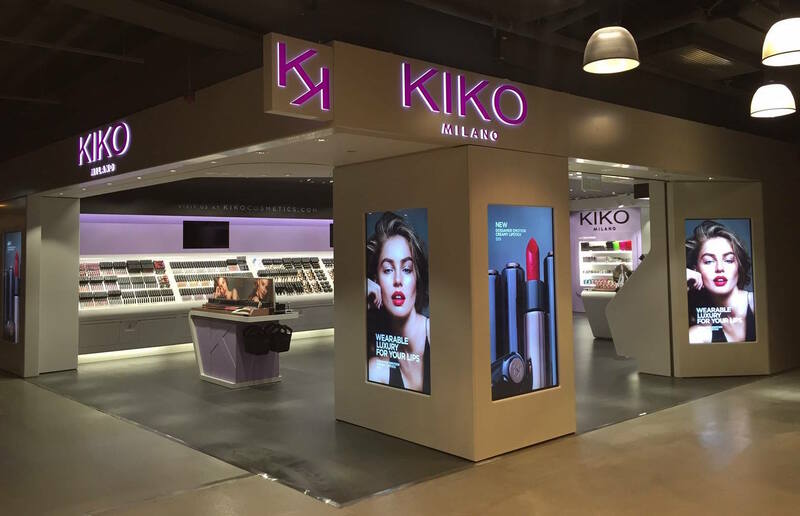 Kiko opened two stores in Hong Kong late last year, in the basement of Causeway Bay’s Times Square mall and the LCX section of Harbour City in Tsim Sha Tsui. I finally went to check out the Causeway Bay store and was pretty impressed at my findings – namely, makeup in every colour you could imagine, all at extremely wallet friendly/dangerous prices. Kiko’s strength is clearly colour cosmetics, so if you love bold bright hues, I reckon you and Kiko are going to get on famously. They have skincare too, with cleansers, moisturisers, masks and lip balms all available, but with such a rainbow riot of colours to gorge on, I have to admit to ignoring them entirely! With such a huge range of items and basic black (but not too cheap-looking) packaging, I’d compare Kiko to a budget MAC or Make Up For Ever. It also reminded me of Sleek, another bargain beauty brand from the UK, although I daresay Kiko’s range seemed bigger, and I felt like their quality seemed better across the board (I’d say Sleek are mostly known for their eyeshadow palettes). The Causeway Bay store was pretty small and crowded; from the photos in this post, the Tsim Sha Tsui shop looks a little more spacious… but let’s face it, you aren’t exactly here for the luxe shopping experience. You’re here for a technicolour cascade of eyeshadows, lipsticks, blushes, nail polish, bronzers, foundations, highlighters, mascaras – basically, if it goes on your face, bring it on – and at all too affordable prices… so let it rain!!! I knew exactly what item I wanted to road-test first – Kiko’s Long Lasting Stick Eyeshadow, which I had seen bloggers compare favourably to the likes of Laura Mercier Caviar Sticks, By Terry Ombre Blackstars, Chanel Stylo Eyeshadows and all the other high-end crayon-esque eyeshadows you can think of. The difference? Kiko’s cost me a grand total of $39.5 each, whilst the others clock in at well over one hundred bucks (if not pushing two hundred) apiece. Admittedly, Kiko seemed to be having a half-price sale for no discernible reason whatsoever, so I’m guessing they normally retail for $79 – but even so, that’s a solid drugstore-price for what is a beauty big-hitter. 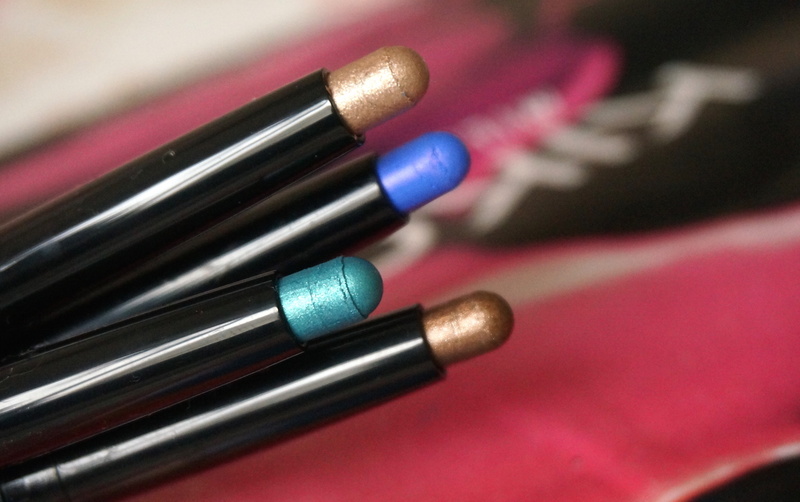 They’re creamy, gorgeously pigmented, long-lasting and easy-to-apply… further fuel to my all things crayon addiction. 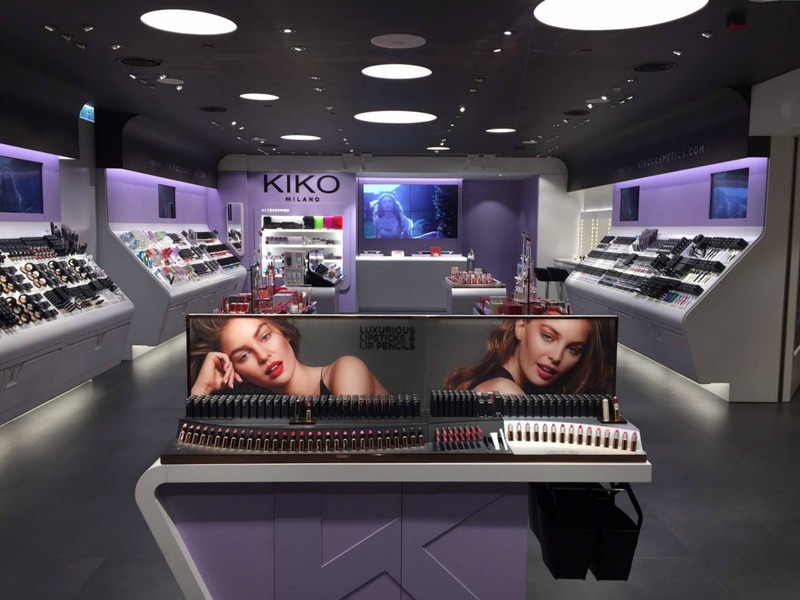 With pretty much every Kiko item I spotted clocking in at double rather than triple figures and with SO many exciting shades to pick from, I’ve already got my eye on the crazy coloured eyeliners and bold vibrant lipsticks next. God help me –and my bank account. 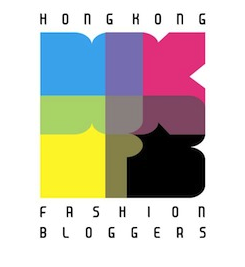 This entry was posted in Beauty, Hong Kong and tagged budget beauty Hong Kong, cosmetics, drugstore beauty Hong Kong, eyeshadow, Harbour City, Kiki Milano, Kiko Cosmetics Hong Kong, Kiko HK, Kiko Hong Kong, Kiko Milano Hong Kong, Kiko Stick Eyeshadow, LCX, makeup, Times Square, where to buy Kiko cosmetics in Hong Kong, where to buy Kiko in Hong Kong, where to buy Kiko makeup in Hong Kong. Bookmark the permalink.